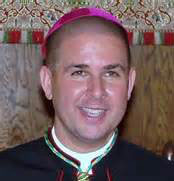 Bishop Chad is the Bishop Suffragan of the Diocese of the Eastern United States of the Anglican Province of America, and also serves as Rector of Saint Barnabas Anglican Church in Dunwoody (Atlanta), Georgia. A Continuing Anglican since 1989 and a graduate of Duke University Divinity School, he was deaconed and priested in 1996, and was elected and consecrated to the episcopate in 2010. A member of the Society of the Holy Cross (SSC), he was elected to the FIFNA Council in July 2014. Bp. Chad’s term expires in 2017.